Waterdogs Scuba and Safety is passionate about the environment and sees firsthand the results of pollution in our waterways. That was what originally led them to the Green Certification Program. Once they got started in the Program, they identified new ways to help the environment and save on their utility costs. They have also reduced the amount of waste going to Bi-County landfill by recycling cardboard and switching to electronic forms. Mayor McMillan asked if anyone had taken home the green practices they learned at work and Glenda Stout, wife of co-owner Cecil Stout, said the lights in their home are now all LEDs. She said at first, she was skeptical of the savings, but said they have seen the same results at home that they had at work. In addition to the staff’s work at the office, they are also environment stewards while on dive trips. They belong to Project Aware, a conservation effort that encourages scuba divers to protect underwater environments. They also participate in Project Aware’s Dive Against Debris program where they collect and log debris they find. By collecting and sharing the data, it allows Project Aware to track and study how long it takes for the debris to return. Waterdogs Scuba and Safety is a PADI 5 Star Instructor Development Center that thrives on quality service, safety and fun. 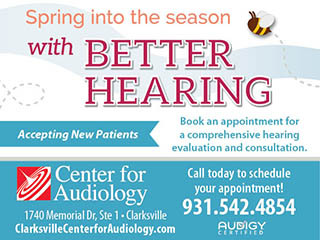 Established in 2013, the staff has over 100 years of combined experience. They offer instruction for all levels of scuba experience from newcomers to advanced technical divers and professional dive trainers. They even have youth courses for children as young as 8. In addition to scuba training, they also offer CPR & first aid training. These trainings are available for citizens, businesses, adventurers and healthcare providers and can be completed at their location or yours. 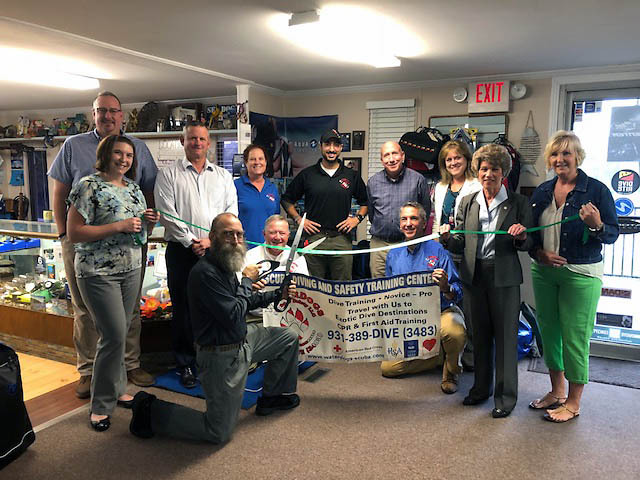 For more information on Waterdogs Scuba and Safety visit them online at www.waterdogs-scuba.com or in person at 681 North Spring Street. 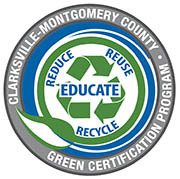 If your organization would like more information on the Clarksville-Montgomery County Green Certification Program, contact Carlye Sommers at or call 931.245.1867.